Taped seams for protection against rain. Back bib for added protection. Zip in outer leg concealed behind flap. 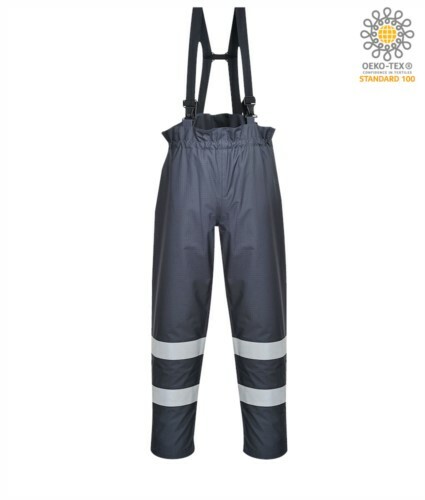 Dear friend, I suggest you this article: TRIPLE PROTECTION RAIN TROUSER ; You can find it on the web at: https://www.castbolzonella.it/scheda.asp?content=.